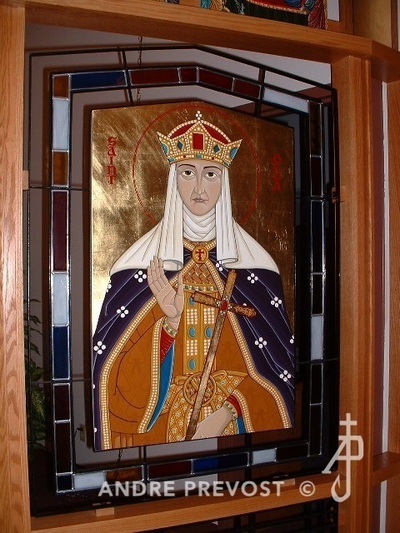 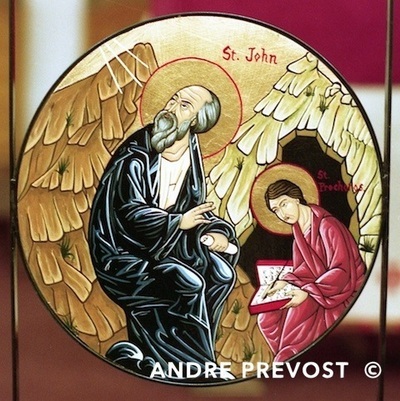 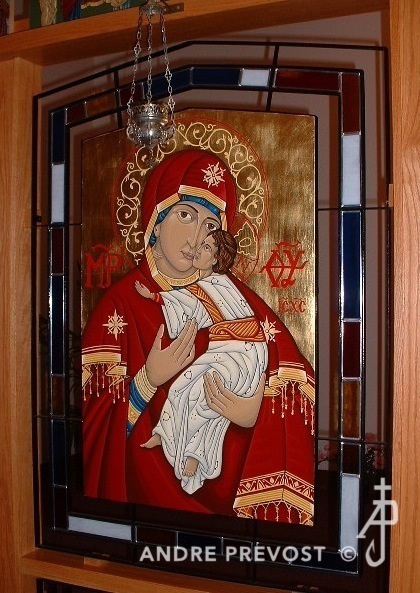 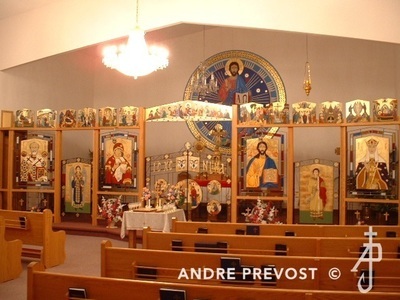 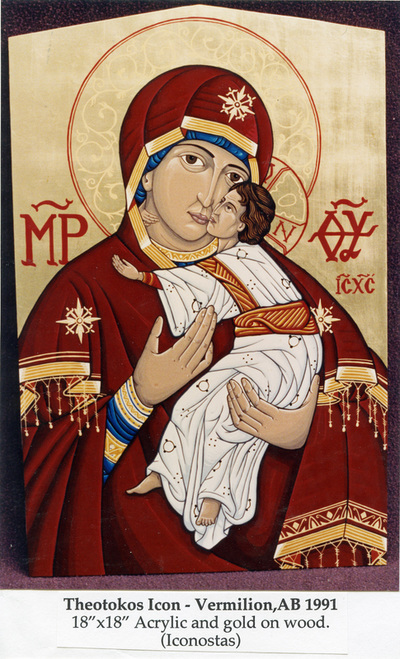 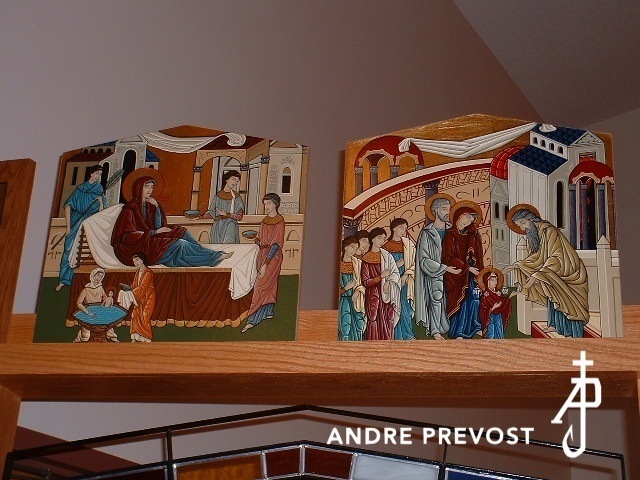 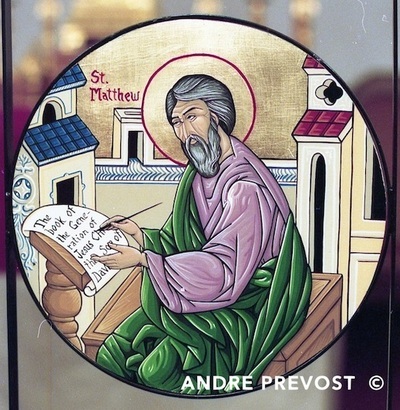 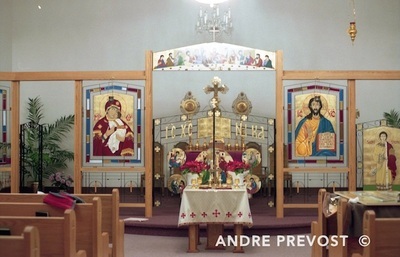 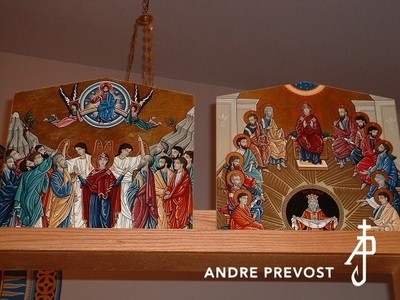 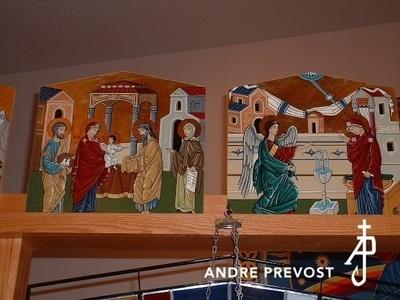 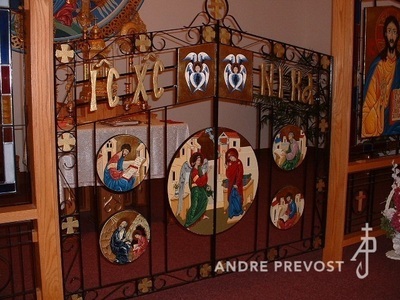 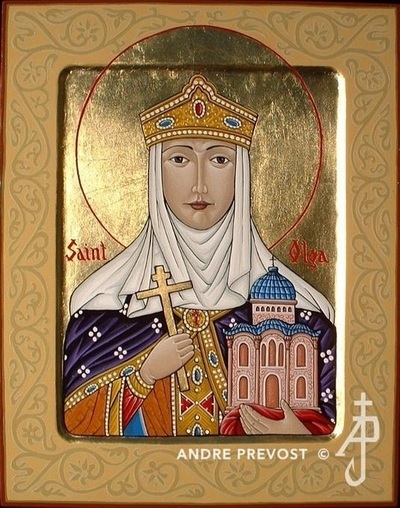 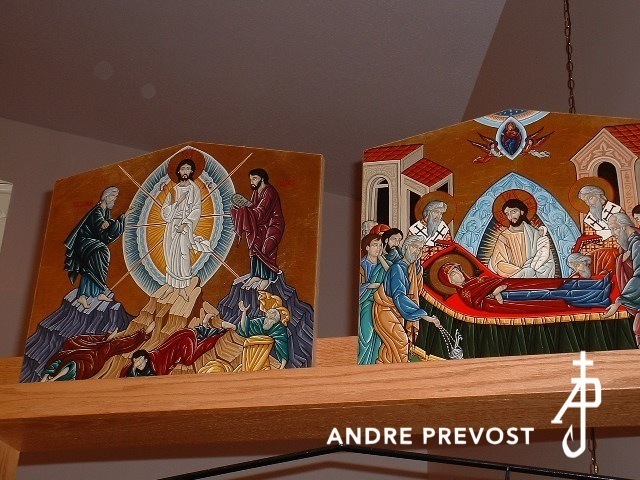 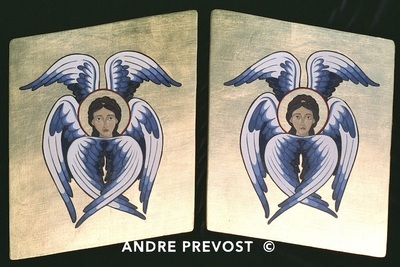 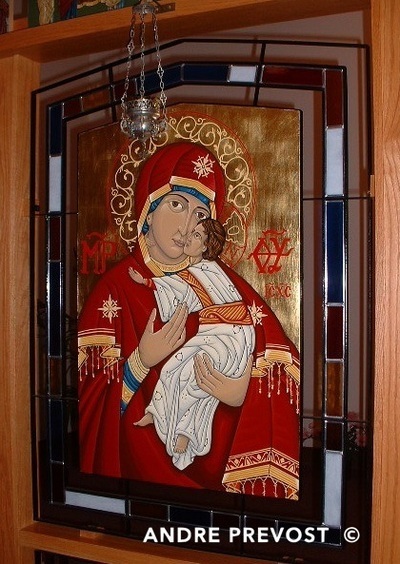 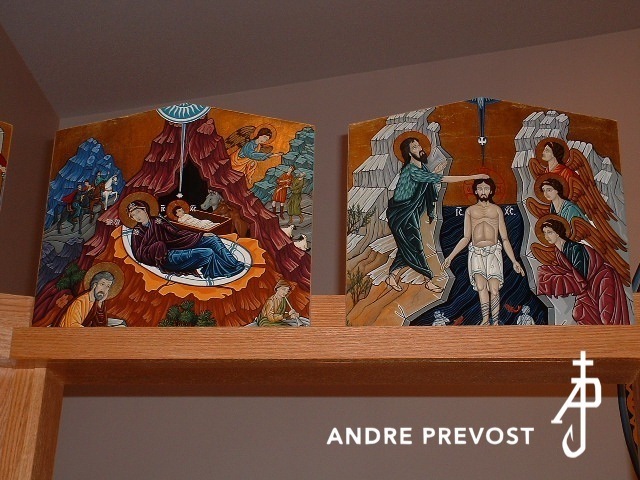 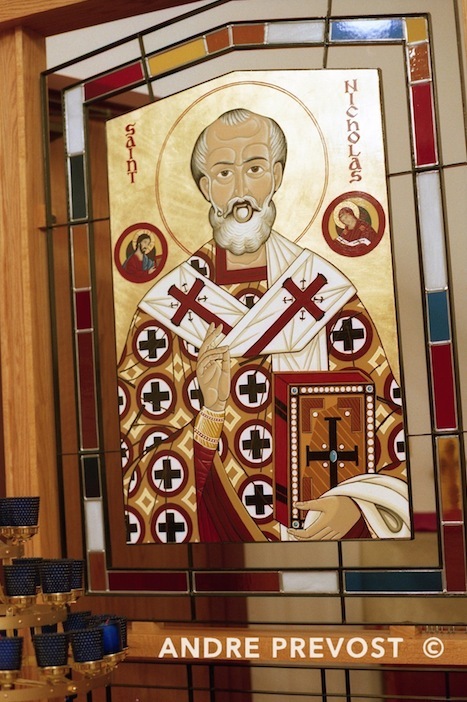 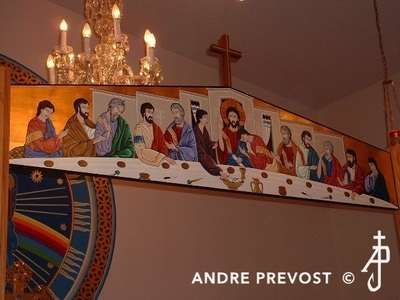 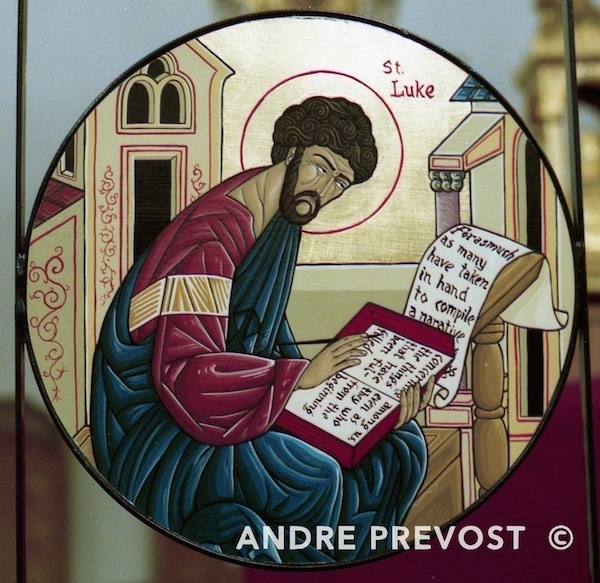 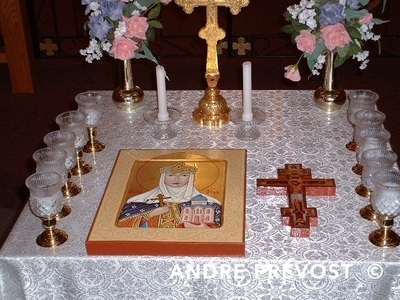 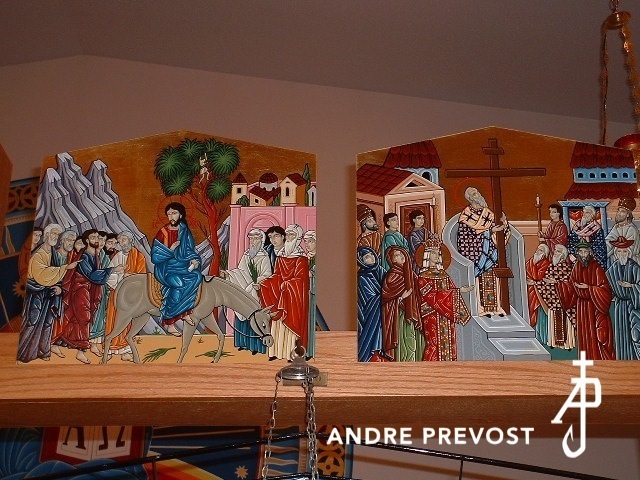 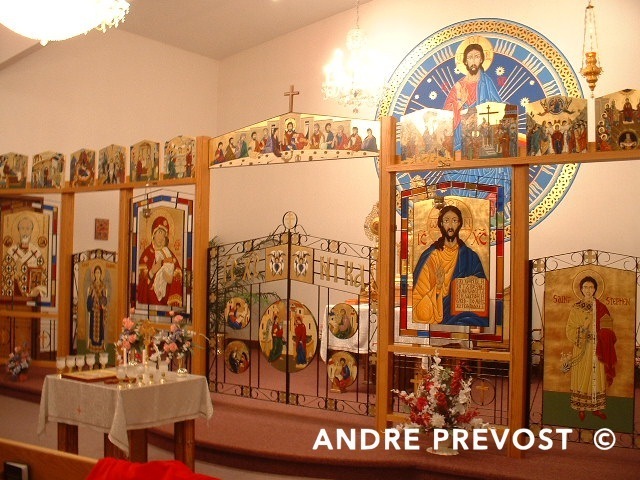 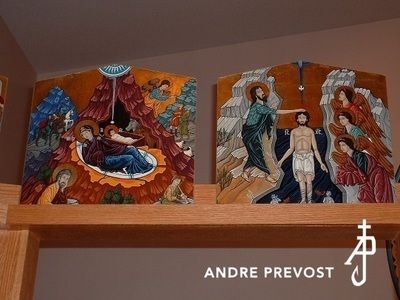 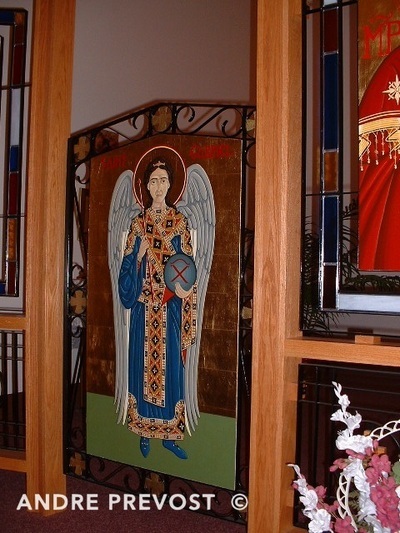 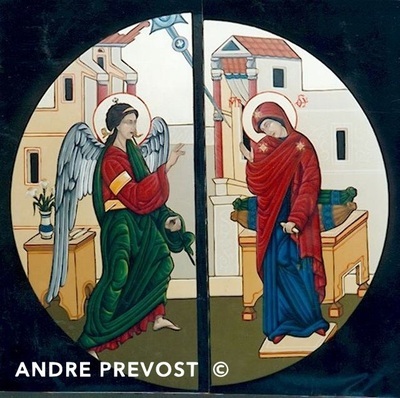 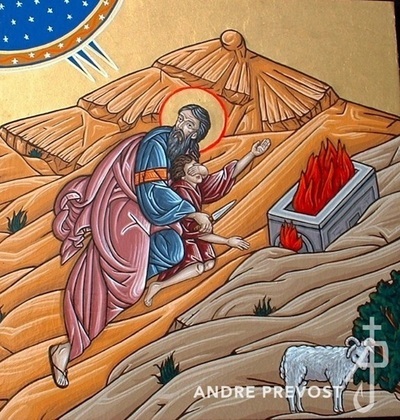 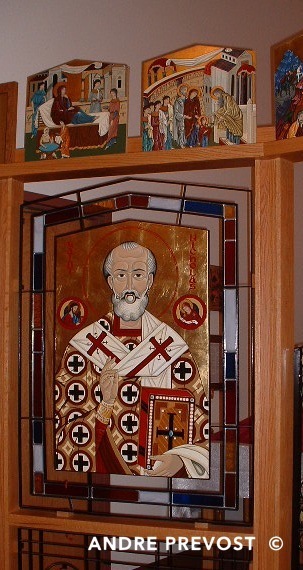 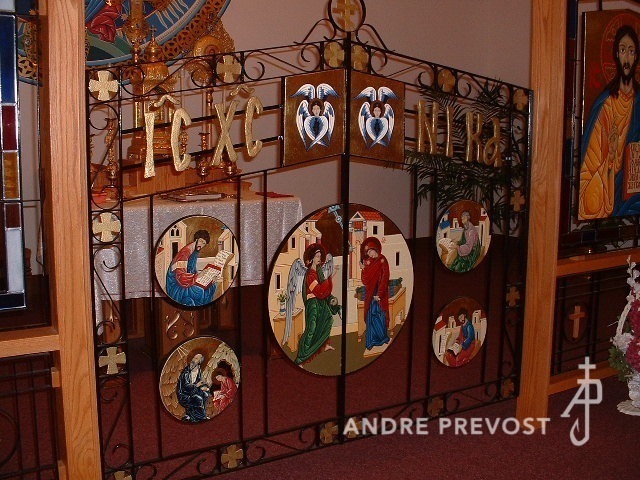 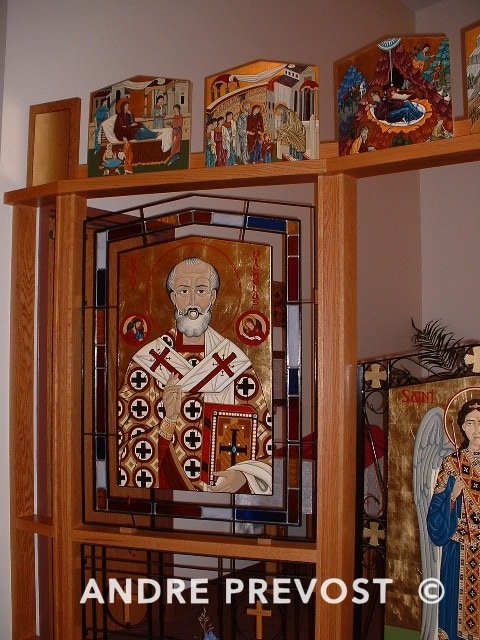 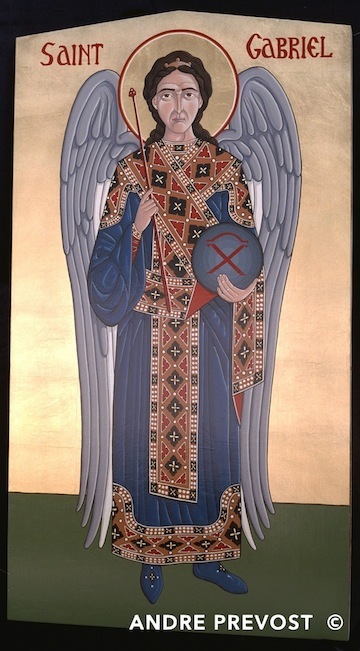 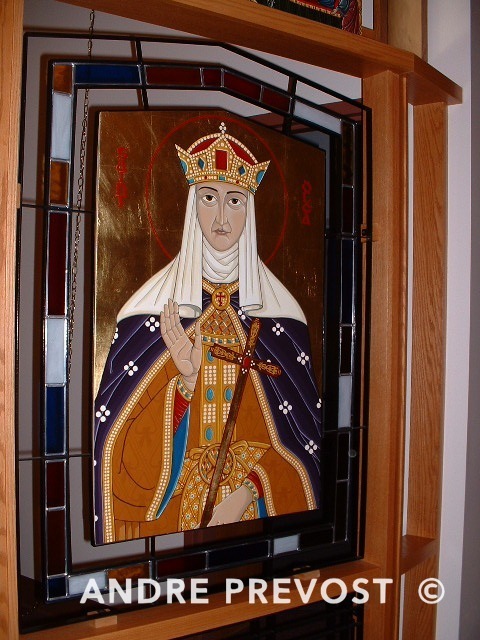 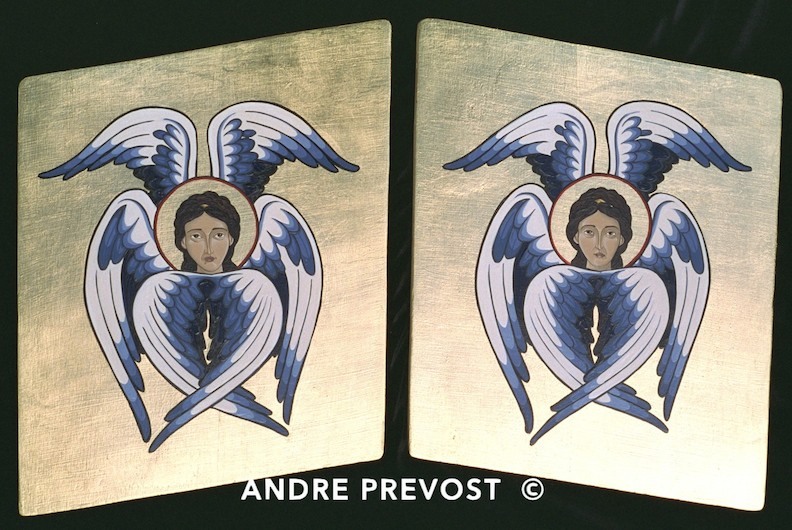 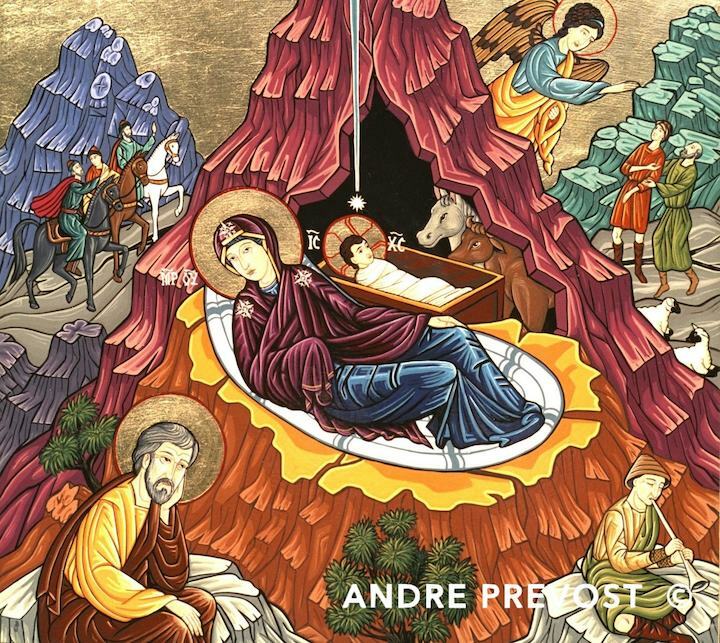 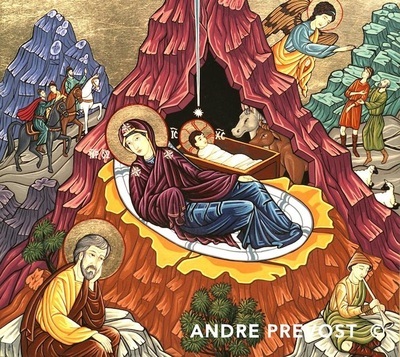 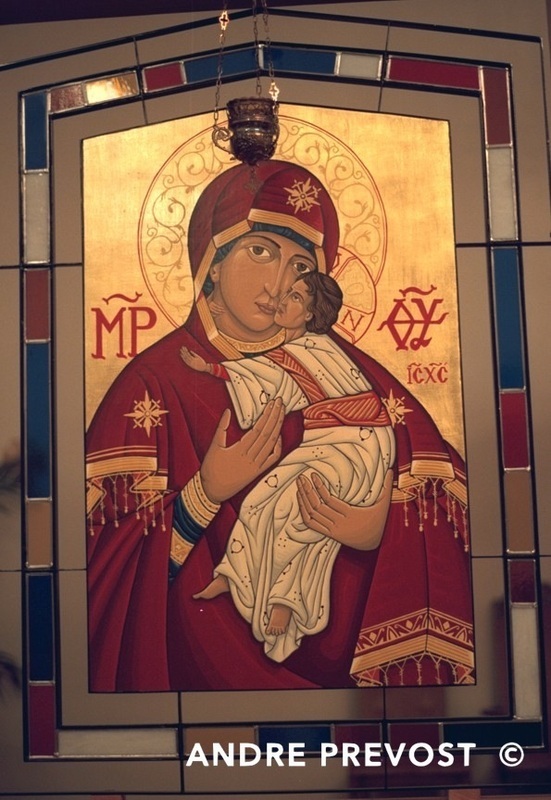 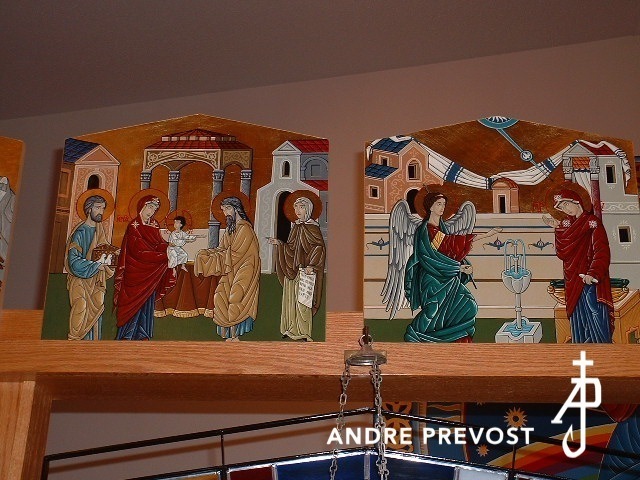 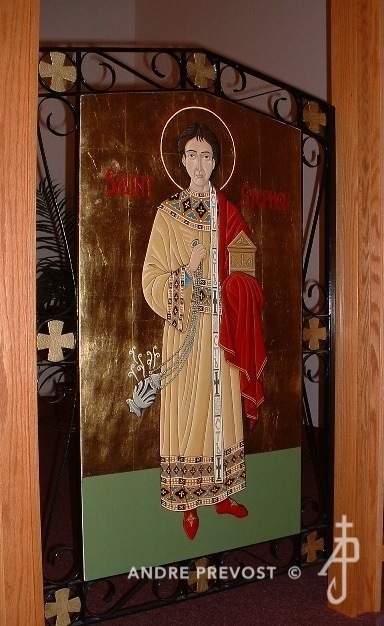 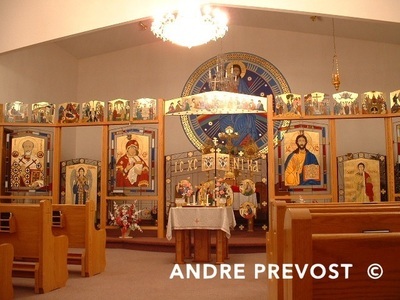 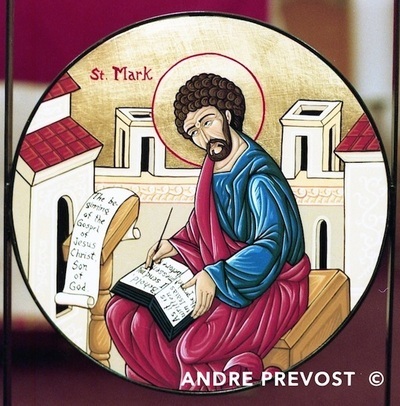 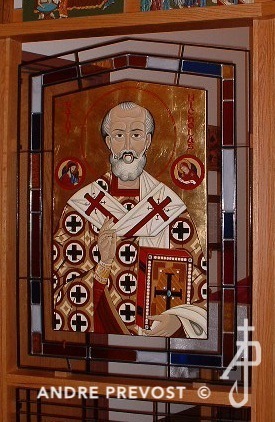 ﻿Andre Prevost was commissioned to write the icons for an Iconostas that had already been designed and installed by the parish; with its signature stain glass frames for the fixed icons. The backs of all the icons (which were visible from inside the Sanctuary, were covered with oak veneer to match the Iconostas. 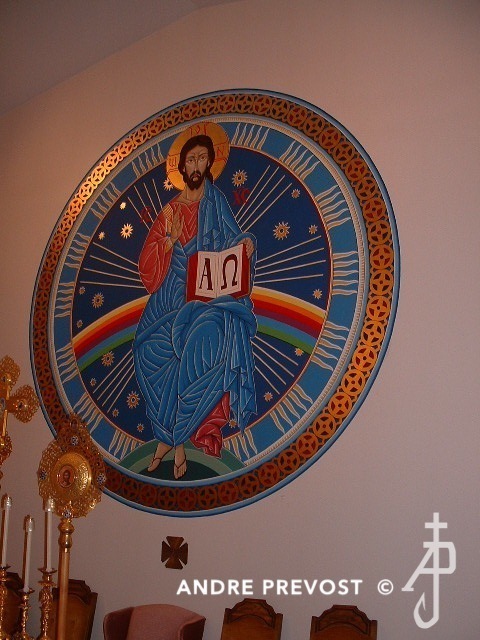 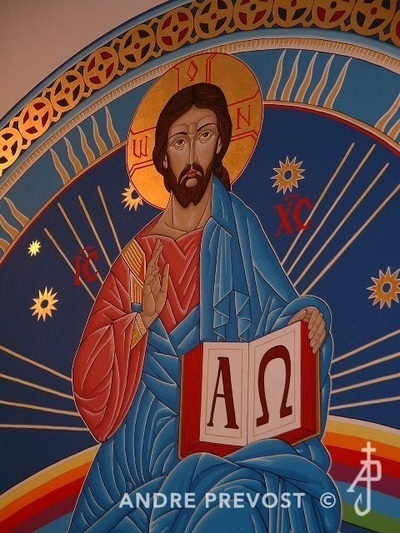 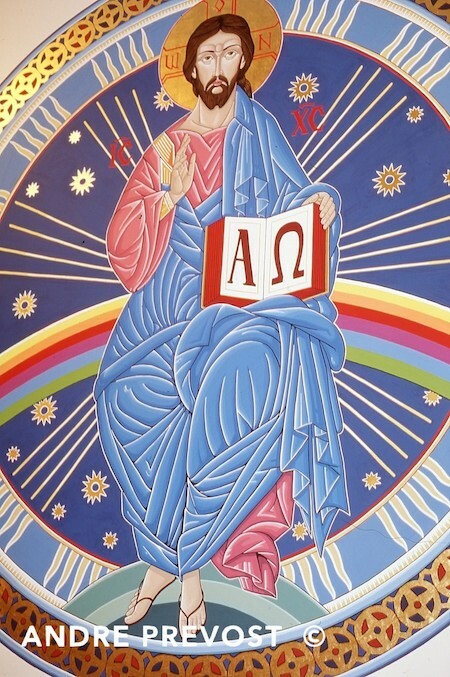 Following the completion of the icons, he then wrote the Pantocrator Medallion Mural (10 ft in diameter) for the Sanctuary wall. 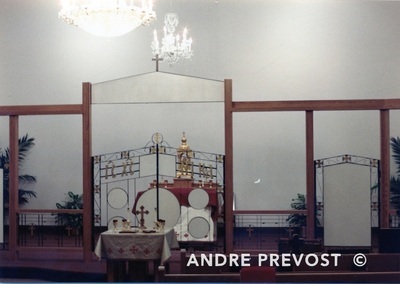 The mural was written in acrylic and 22K Gold on gessoed muslin adhered to the wall surface.